– Give choices. Say “you have to eat vegetables but which would you want carrots or broccoli? “ Choices empower your child and feelings of empowered helps decrease frustrations that leads to tantrums. – Set simple rules that you reinforce daily and consistently. When a child know what is expected of him he is less likely to act out. – When your child is frustrated try to distract him with a favorite game, or a story. – Stay calm do not raise your voice as it will encourage your child to yell louder. 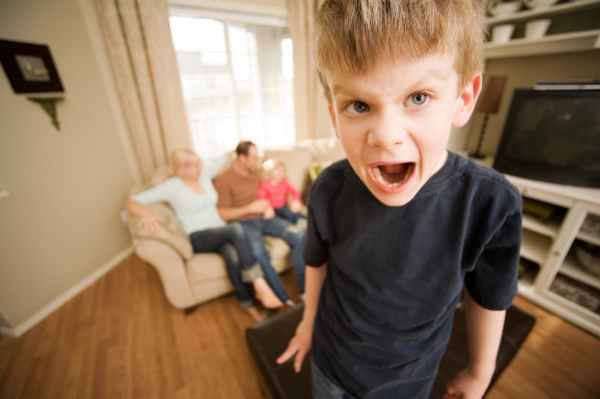 – When your child is agitated upset, and safe sometime give them the time to calm down. Try to go in another room for a while. – Be flexible and open. Try something different and/or new if your usual way to deal with tantrums no longer works. Parenting skills need to develop as the child develop. – Children will test boundaries, be consistent and explains that these limits are meant to protect them. – Decide of consequence for bad behaviors during family times. When a behavior requires consequences wait that your child cool down before giving it to him. – When your child has calm down, talk about what happened, listen to what your child tells you and give him strategies & tools to manage his frustration.